The Creative Aurvana Gold Wireless are solidly built but uncomfortable headphones, and have a focus on features rather than on audio reproduction. 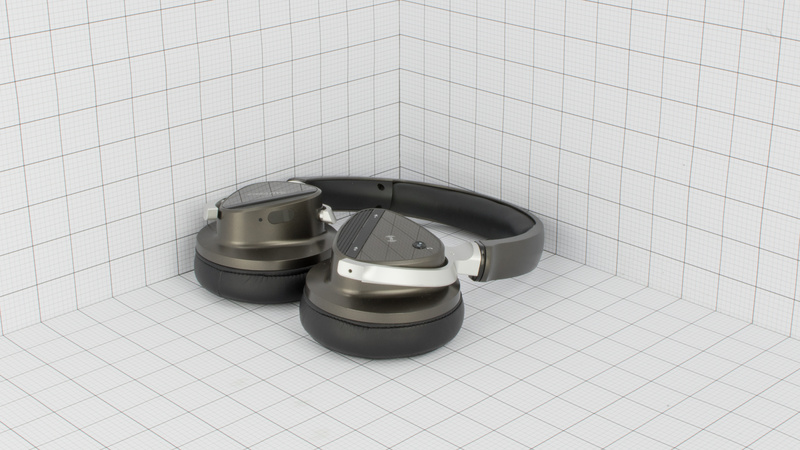 They are easy to pair wirelessly and offer decent isolation but drastically skew the audio profile by overamplifying the bass. The Aurvana Gold are not the most comfortable headphones. They feel sturdy but stiff and are very tight on the head. 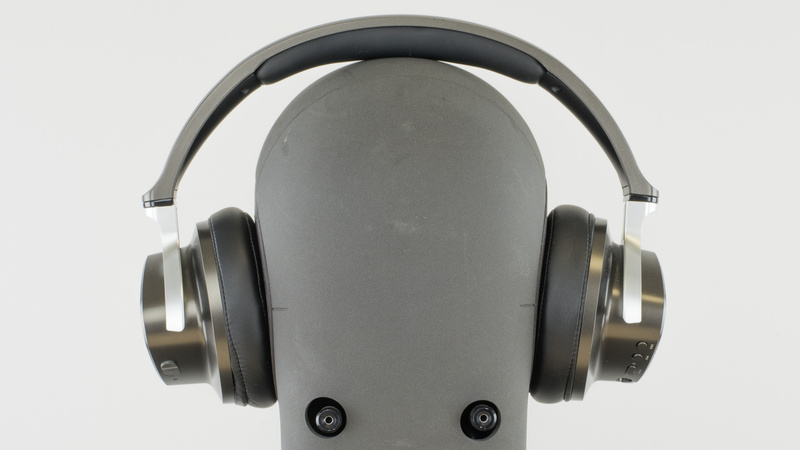 Durability is also a concern, as the headphones are almost entirely made of plastic. The only redeeming qualities are the padded headband and the position of the control buttons. 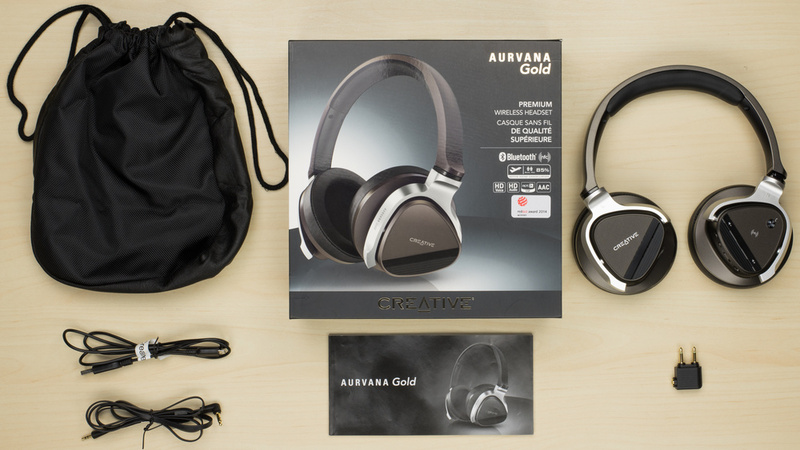 The Aurvana Gold look premium. 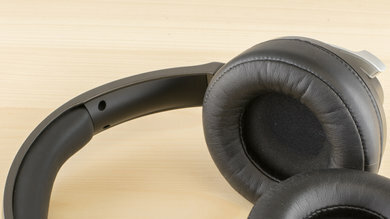 The thick brown headband and circular ear cups are highlighted by silver and black accents. The similarly designed Aurvana Platinum has the same esthetic but a brighter color scheme that may be more appealing to some. Not the most lightweight headphones out there, but the main issue is the stiffness of the pads. They may soften-up with use, or you may get used to them with time, but they are not comfortable out of the box. The buttons are in the right place, but don't have a great feel to them. This is especially true of the volume buttons. The Aurvana Gold are too bulky and cumbersome to carry around on your person. They're not portable and do not fold up int a more compact format for storage or transport. On the upside, the ear cups lay flat to take less space in a bag. However, they are too massive to fit into any pockets or handbags. Good build quality and feel. 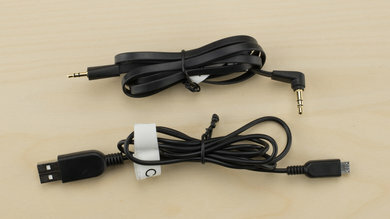 The plastic doesn't seem to be the best out there, but it is better than what you get with most headphones. The feel and quality of the buttons could be improved. The headband adjustment, however, produces a very solid and well-defined click. 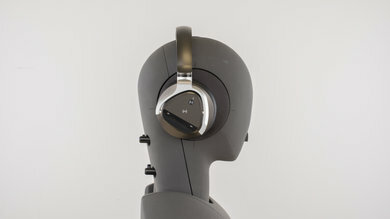 Like the Aurvana Platinum, these headphones are not stable. They're bulky, heavy and sway as you tilt your head. 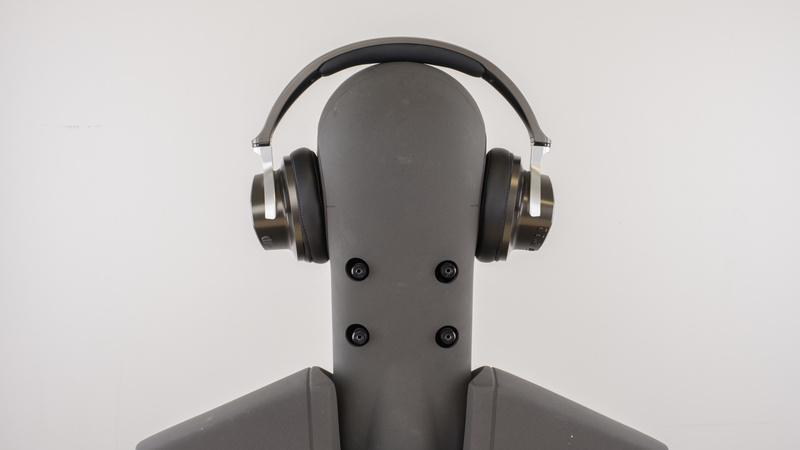 The tight fit can maintain the headphones in place during casual use, but they will quickly fall off your head during any physical activity. On the upside, the wireless design means they're are no cables that will get tangled and pull the headphones off your head. 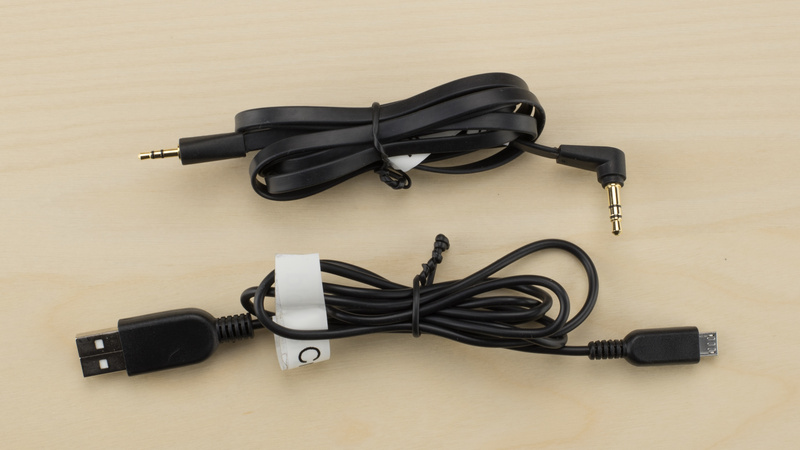 Comes with two cables; USB for charging and 1/8"TRS-1/16"TRS for using the headphones wired. 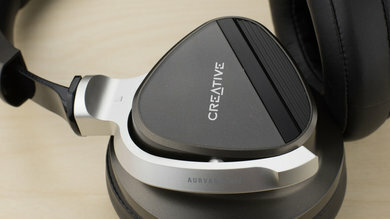 The Creative Aurvana Gold is a poor sounding pair of closed-back over-ear headphones. The have an overly emphasized and boomy sounding Bass, a cluttered and muddy Mid Range, and a Treble that lacks presence and brightness. Additionally, the have a mediocre distortion and a poor Soundstage. On the plus side, they perform quite consistently across difference users. The Aurvana Gold provide decent active noise cancellation. 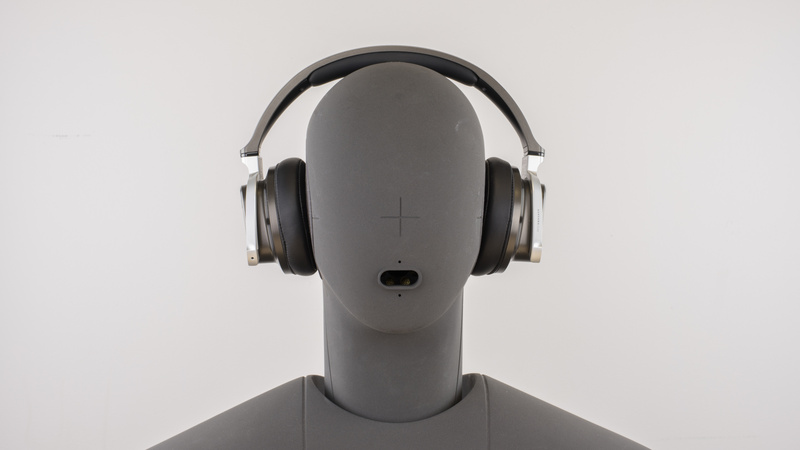 They are able to block a significant amount of noise in moderately loud environments. Unfortunately, they leak a lot of sound, making it easy for others to hear what you are listening to at high volumes. 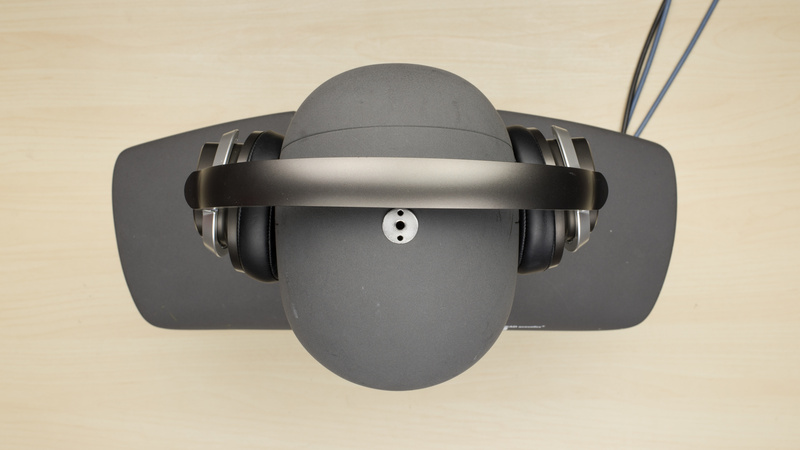 The ear pads on these headphones provide impressive passive isolation down to 600Hz. 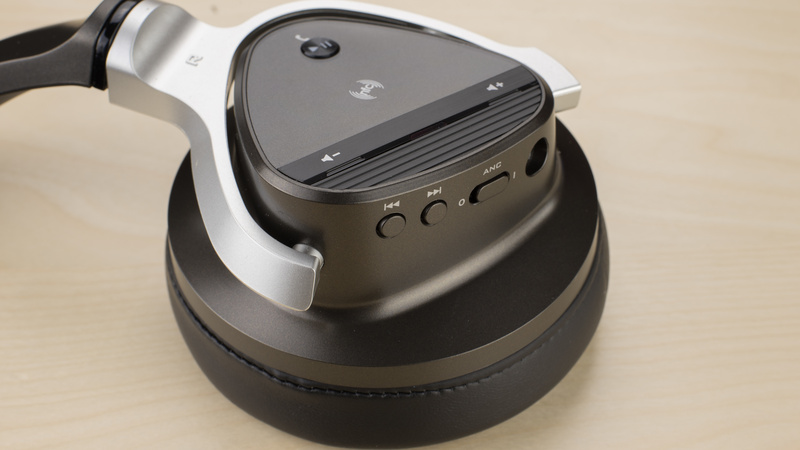 The ANC (Active Noise Cancelling) kicks in at around 600Hz and does a good job of cancelling out ambient noise. 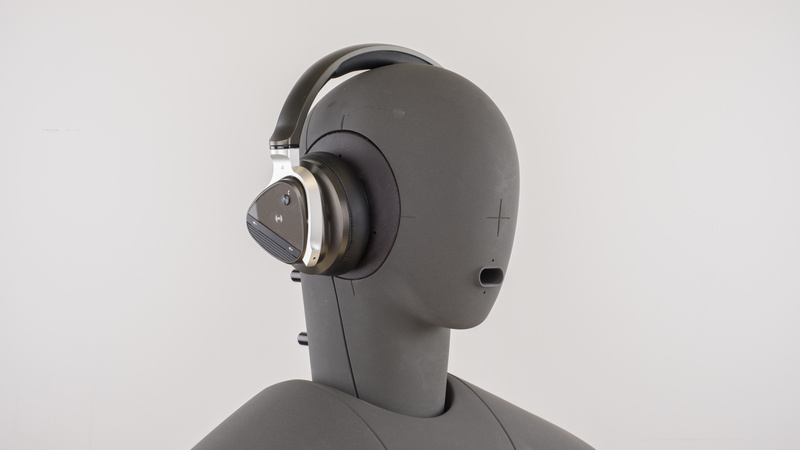 Its best noise cancelling performance is a 15 dB reduction, at 100Hz. 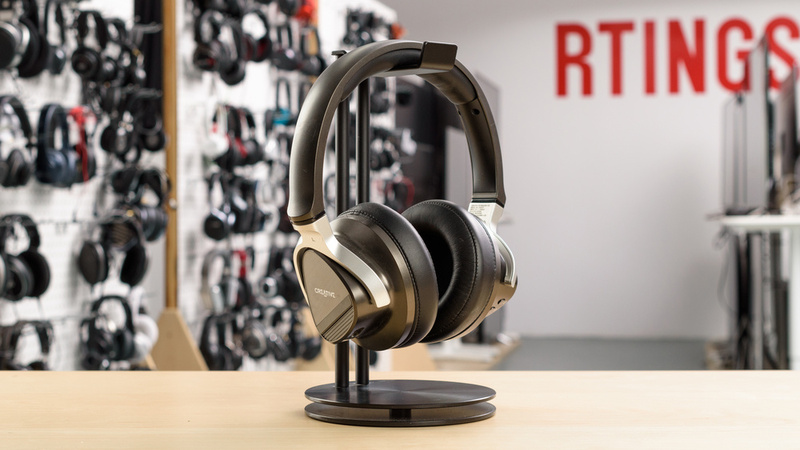 These headphones have poor leakage performance, especially from around 200Hz up to 5KHz, which covers the entire mid-range and the low-treble range. The Aurvana Gold have an above average battery and wireless performance. They last about 13 hours of continuous playtime, which is decent for an average use throughout the day. They also support aptX but may still have a little too much latency for watching videos or playing games on your phone. They have an average wireless range and charge relatively fast but can continue streaming audio while charging which is good if your at the office where you have access to a power outlet. The Aurvana Gold have a fair battery life that will last around 13.6 hours of continuous playback. They take a bit longer than the Aurvana Platinum to charge, but they can continue streaming audio at the same time. Unfortunately, they don't have an auto-off timer, so your battery will keep being drained even when you're not using them. The Aurvana Gold have a disappointing wireless range when obstructed. They're about average in direct line of sight, but when the Bluetooth source was placed in another room, they barely reached over 30ft. This is remarkably low for full sized headphones and maybe due to the density of the ear cups obstructing the receiver. On the upside, they offer NFC and dual device pairing, which makes them fairly easy to pair and to switch between you most used devices. The Aurvana Gold struggle a little as everyday headphones. They have a lot of features, but they're bulky and leak a lot. This prevents them from being sufficiently well-rounded for everyday casual use. Not good for critical listening. 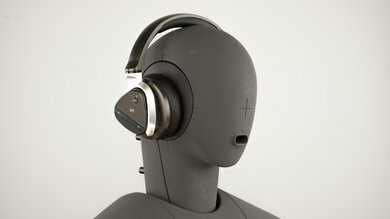 Their audio reproduction is too bass heavy and the closed back design limits their sound stage. They're also uncomfortably tight. Decent for commuting. They're wireless and have a somewhat competent control scheme. Their noise-cancelling is also efficient enough for noisy commutes. However, they get uncomfortable on your head relatively fast. Too bulky for sports.They're tight on your head, but the big earcups are unstable. They're too cumbersome for most physical activities. Average for office use. 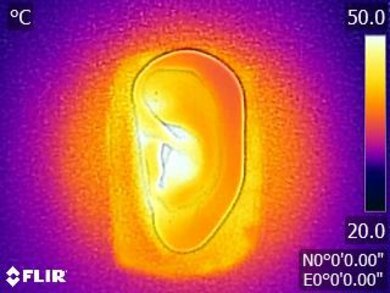 They leak a little too much making your audio audible to the people around you. However, they do block a fair amount of ambient noise. Below-average for home theater use. They have a bit too much latency for watching videos and movies even with aptX enabled.